Could the Internet be Making us Dumber? Is the internet giving us a false sense of knowledge? That’s what three Yale psychologists set out to find in a very interesting study. This study conducted by Matthew Fisher, Mariel K. Goddu, and Frank C. Keil has shown that simple researching on the internet can inflate one’s estimate of their own internal knowledge. This phenomenon isn’t related to any particular subject and can even transfer into other, un-related subjects! The researchers split test subjects into two groups: the first group spent time searching the web, the other stayed away from the internet. After a period of time the two groups were tested to estimated their understanding of a variety of topics. Each participant was then given 7 MRI images showing different levels of brain activity and were told “Scientists have shown that increased activity in certain brain regions corresponds with higher quality explanations.” They were then asked to select the one that corresponds to how they thought their brains were functioning. The group of subjects that searched the internet beforehand rated their brand activity stronger than the control, group. 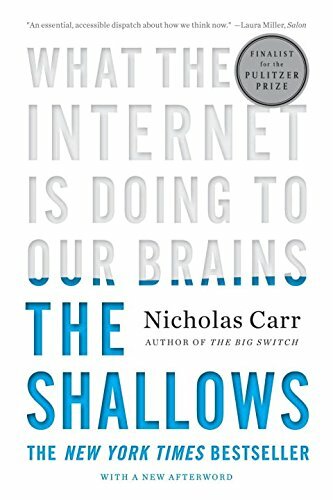 This is the only study of its kind, but there have been other studies on how the internet influences the mind. Another study in 2011 at Columbia found that retention of facts has been decrease due to the availability of online information. Instead of recalling the facts, we recall where we can access the correct information. Yet another study found that taking photographs of events actually decreases our ability to remember the experience! We’re shifting to digital information storage, and relying much less on the mind itself. Our access to the internet has made us feel like we know more than ever before, but in reality, we really know even less about the world around us! Being mindful, staying in the moment, and just experiencing can help us to avoid falling into the false allure of the internet’s seeming ability to be all-knowing. Next Next post: Two Theories of Distraction: Is it Becoming a Bigger Issue?